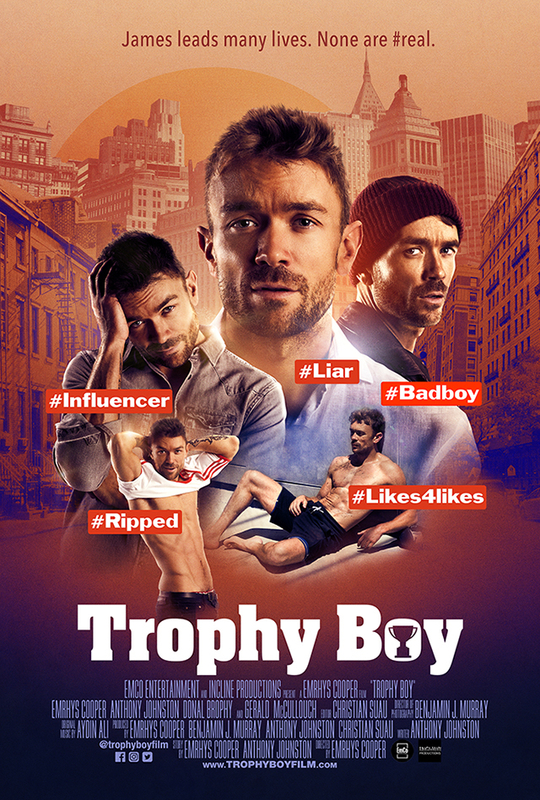 Emrhys Coopers showcases his incredible acting chops as he portrays a man called James who, according to himself, believes that he is a public figure due to the number of followers he has on his social media accounts. With the advantage of having a numerous amounts of followers, he showcases his day-to-day life, making people believe that he is the ultimate trendsetter. But when you look closer, it turns out that his life is a lie and he is only be able to afford his ‘rich’ life due to the fact that he has a rich boyfriend. When push comes to shove, his boyfriend dumps James and he goes on a journey to find his true identity, to really find out who he is as a man. This film resonates well with what is happening right now; Millennials feeling the need to prove a point on Social Media with their life just to rake up their follower numbers. Due to programmes like ‘Rich Kids of Instagram’ and public figures like Kylie Jenner, Kim Kardashian, it seems like the more luxurious your life is, the more people will like you and want to follow you. So we lie about our lives to please people who have no effect on your lives whatsoever and it is very tragic that this is happening. With this film being Emrhys’ directorial debut, he has done a phenomenal job. This film definitely rings true to the phrase ‘ Looks can be deceiving’. Feeling the need to please others, the frustration of losing everything you have ever worked for (in James’s case, nothing at all) and not knowing what your next step is captured excellently. A definite 5 star.